There are few things more exciting than opening the box to your brand new (and improved) iPhone. But when getting a new phone, it only makes sense that you would want to make a few bucks off of your old one. But selling your old iPhone comes with the concern that your old data may be shared with a new user. To prevent this, you will want to completely erase all of your data and restore your phone to its original factory settings. Also there are things you should know about how to prepare iPhone for sale. Today we will show you how to do that. 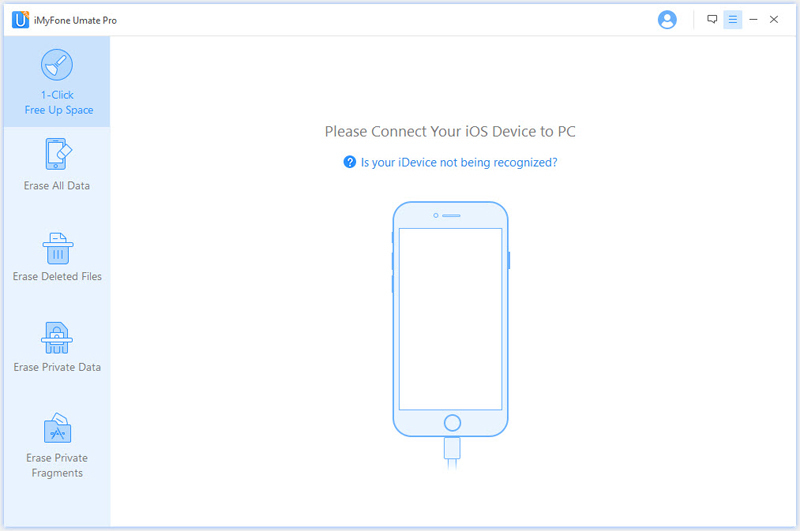 Step 2: On the left side drop-down menu you will see a Device icon, click on it to select your Device. 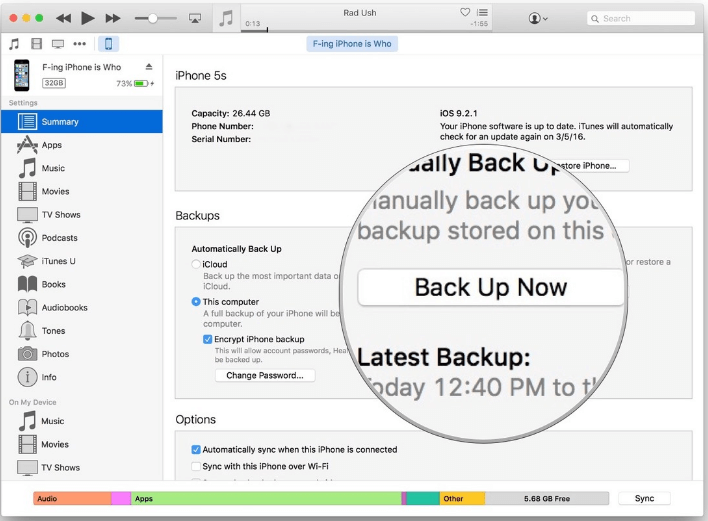 Step 4: Under "Manually backup and restore", click on "Back up now". Step 5: Wait for backup to complete. Step 1: On your iPhone, go into your "Settings" option. Step 2: Tap on your Apple ID. Step 3: Tap iCloud --> iCloud backup --> Backup Now. Step 4: Wait for backup to complete. Step 1: On your iPhone go into Settings and click on your name/device. Step 2: Scroll down to "Sign out" and click on it. Step 3: When prompted, enter your Apple ID and tap "Turn off". 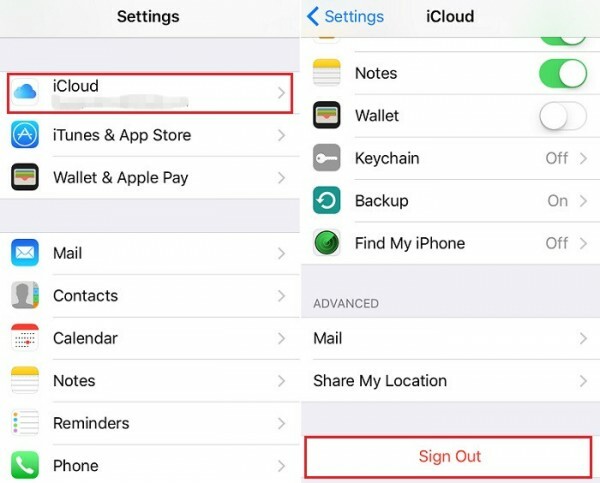 Step 4: Confirm your decision to sign out of iCloud. 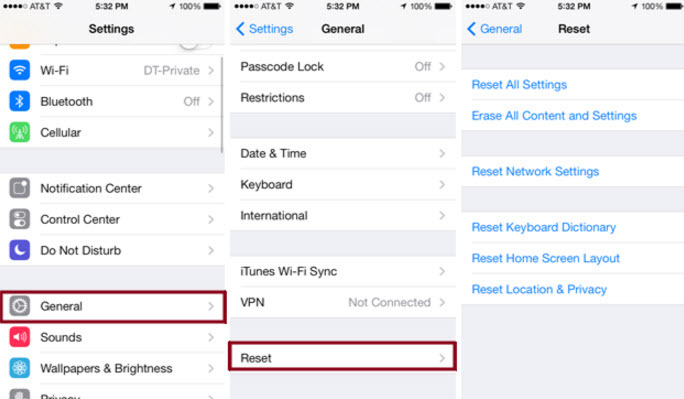 Step 1: On your iPhone, go into Settings --> General --> Reset. Step 2: Click on "Erase All Content and Settings". Step 3: Enter code and password if prompted. Step 4: Enter Apple ID. When you erase your data from your iPhone using conventional methods, your information is only being partially deleted. Yes, it becomes invisible to the human eye, but deep down in your phone's storage space, all of your information and data is still stored. This means that any hacker can retrieve your personal information with a good software program. How can you avoid this? You can change this situation by using a professional software program like iMyFone Umate Pro for Windows or iMyFone Umate Pro for Mac. 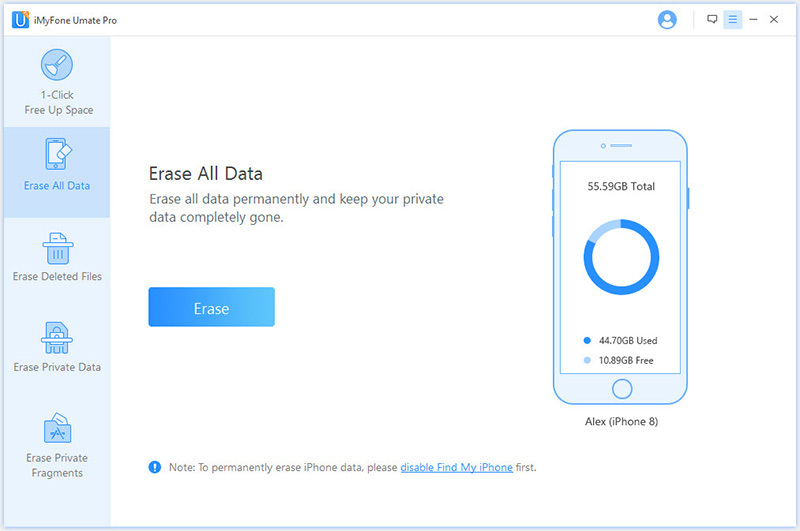 Permanently erase all phone data with the click of a button to secure privacy with a 0% recovery rate. 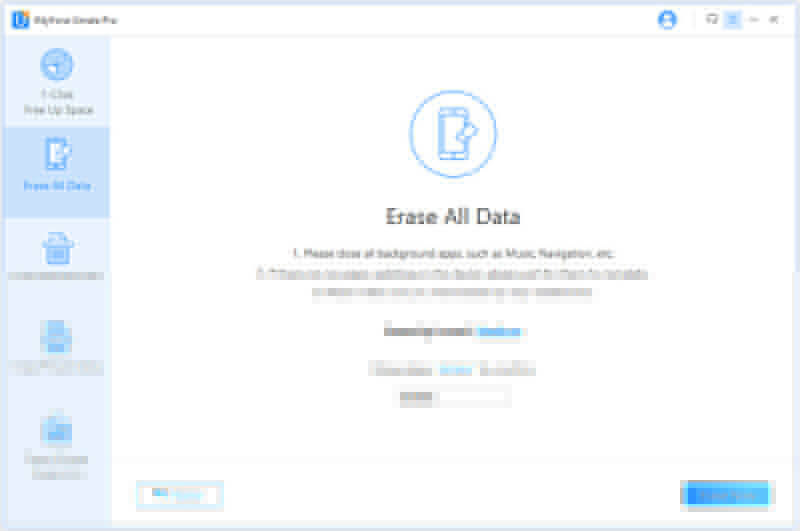 Erase your private data like call history, photos, safari history, videos, notes, etc. Wipe out all third party apps and data from your iPhone completely. Protect yourself from hackers and identity theft without leaking your personal info. Step 1: Connect your device to your computer and open iMyFone Umate Pro. 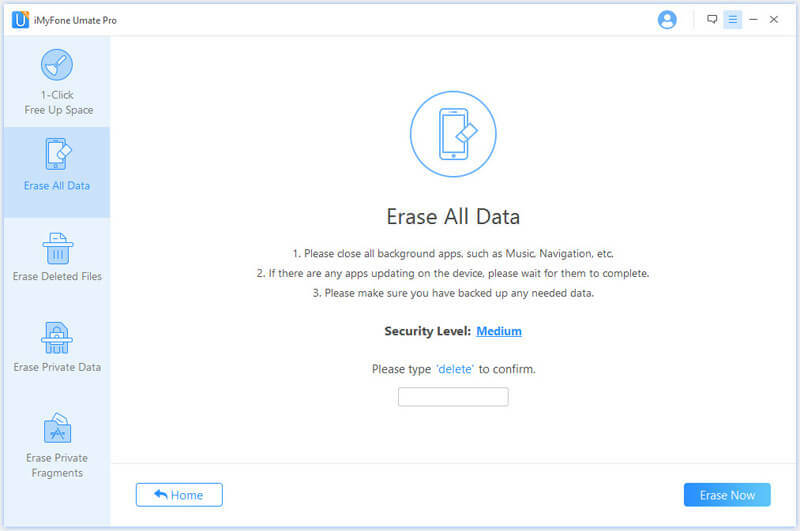 Step 2: Click the "Erase All Data" tab. Click "Erase". Step 3: Type "delete" to confirm your choice. Step 4: Choose your erase level. If selling your phone, we suggest you choose "high". Step 5: Click Erase Now. Note: When using iMyFone Umate Pro, this process permanently erases everything from your phone. It is not retrievable. Make sure you have all important data backed up before proceeding. How to prepare iPhone for sale? When selling your iPhone, it's important to protect yourself and your data. You can back up your data and restore your phone to factory settings quickly using your iPhone, but this will still leave you vulnerable to hackers. 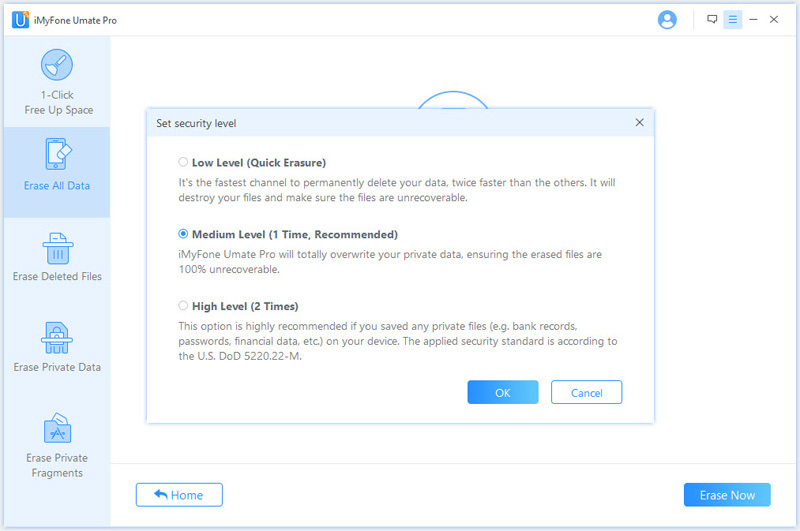 To ensure your information is secure, use a professional program like iMyFone Umate Pro to permanently erase all of your private and confidential data.